Larus cachinnans 4CY PSHK January 18 2014, Bucharest, Romania. Picture: Gabriel Martín. 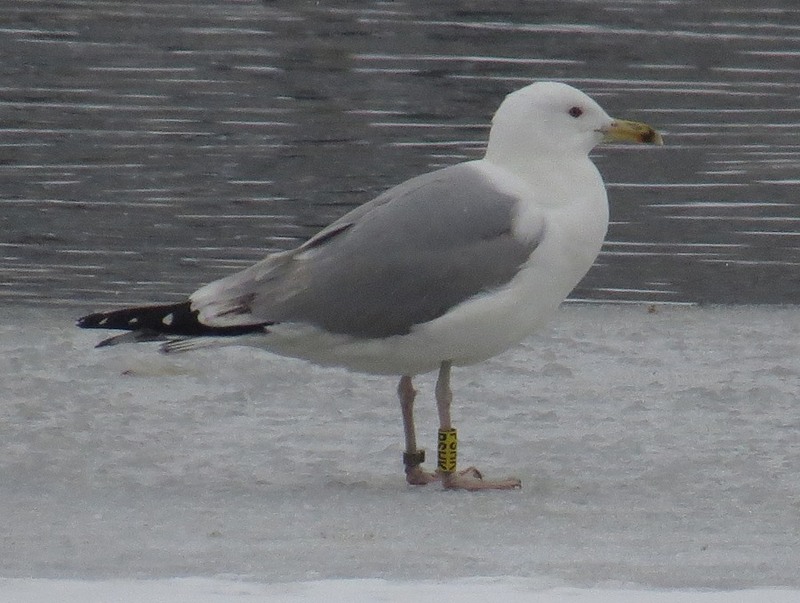 Bird ringed yellow PSHK & probably metal UKK L-011047, ringed as pullus on June 10 2011 at Cherkasy Kreminchuk reservoir Ukraine (49,24,0,1N 32,09,0,0E). Note dark centres of tertials and adult-like P10 mirror.